The Worst Customer Experience Mistakes You Can Make - Hicks & Associates, Inc. If you can’t keep your customers happy, your business won’t last long. Yet companies consistently make customer experience mistakes that can easily be avoided. Why is this? Perhaps your company started doing things one way and never adjusted to your customers’ needs. Maybe it is a simple matter of oversight. Either way, don’t be complacent! Put your clients first by fixing these customer experience errors before your customers abandon ship. In this day and age, a multichannel approach to customer experience is a must. Customers expect a seamless experience across social media, email, chat and phone. These four channels are all high-use venues for customers to reach out with a question or an issue. While other channels are nice to have, these four should be essentials. Amazingly, not every company provides this basic range of communication channels. It blows my mind that businesses hide or don’t offer their phone numbers, don’t cover multiple social media channels (e.g., LinkedIn, Facebook, Twitter), provide only canned answers via email and sometimes don’t even bother with chat. The Fix: Offer contact via social media, email, chat and phone. Customers need to find you on the channels that make the most sense for them. Otherwise, you’ve lost out on a critical aspect of a good customer experience. That sets you up for a bad reputation and unnecessary customer attrition. Not adequately handling your communication channels is just as bad as not having those channels at all. 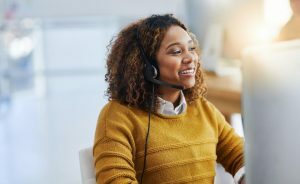 Are you making customers stay on hold for an inordinate length of time? Maybe you are offering chat but not manning it much of the time? Perhaps you developed a bot to answer basic questions but when customers need more complex help, there’s no human to take up the slack? These are all signs of a bad customer experience in the making and an instant recipe for frustration. Since one in three consumers will abandon even a brand they love after just one bad experience, this is bad news. The Fix: Get the right resources to provide a great customer experience. You can turn the issue around by making sure all of your communication channels work smoothly together and are covered sufficiently. That means that systems need to be adequately monitored and manned. If you are a global business, they need to be supported around the clock. Granted, not every company has the internal resources to cover all customer channels effectively. That’s when outsourcing should be considered to extend your internal expertise. Why? Because if you make your customers jump through hoops to reach you, they will end up jumping ship instead. Your employees are at the heart of providing a great customer experience. They are the ones your customers are going to interact with and their attitude reflects how customers will feel about your company. In other words, if they’re not happy, your customers won’t be either. That’s why employee experience is nearly as important as customer experience. • Provide your employees with useful benefits, like health care, ongoing education and vacation. • Help employees learn from mistakes rather than berating them. • Gather employee feedback — and then act on that feedback. • Empower employees to focus on solving problems instead of getting customers off the phone. In addition, ensure that formal career and goal achievement paths are regular parts of corporate life. Employees should be encouraged to take courses and gain new skills. Their new knowledge will benefit them as well as your customers, making all parties happy. Prioritizing your employees, their skills and their satisfaction enables you to prioritize your customers. Happy employees are much more likely to provide good customer service. Good customer service results in a great customer experience. That’s good for everyone involved. Customer experience improvement is an ongoing process. New channels will come to the fore, companies will grow and have new and more demanding customer requirements, and employee needs will change over time. In order to avoid the most serious mistakes, the best thing to do is to continually examine the entire customer journey. 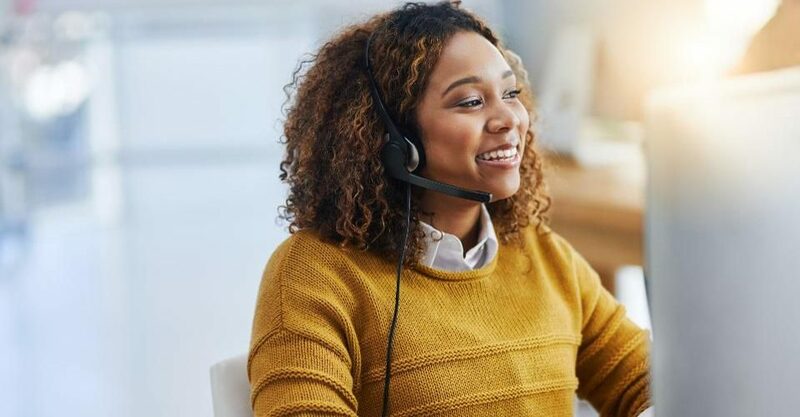 If you consistently improve the customer experience over time, your business will continue to grow and thrive moving forward.